PARTIALLY FURNISHED! Popular Merano with all the bells & whistles! 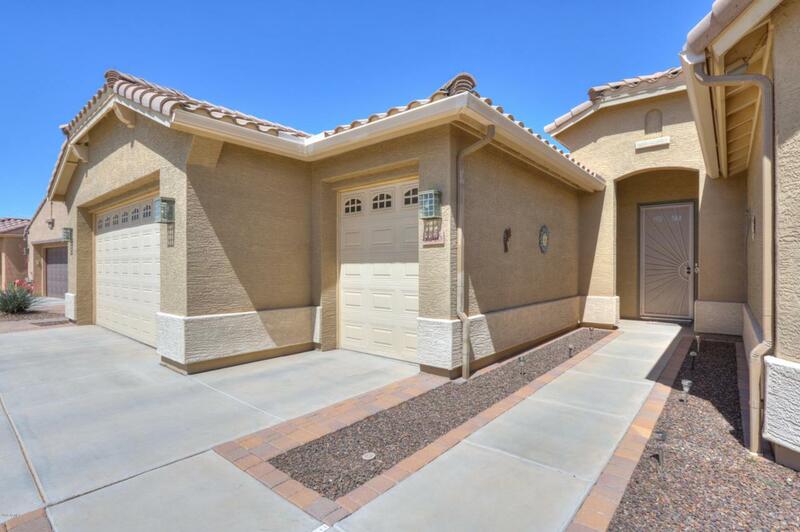 2 BD, 2.5 Bath, w/Den & extended golf cart garage. So many upgrades from the 20 x 20'' tile floors (carpet in bedrooms only) 2-tone paint, custom fans & lighting throughout. 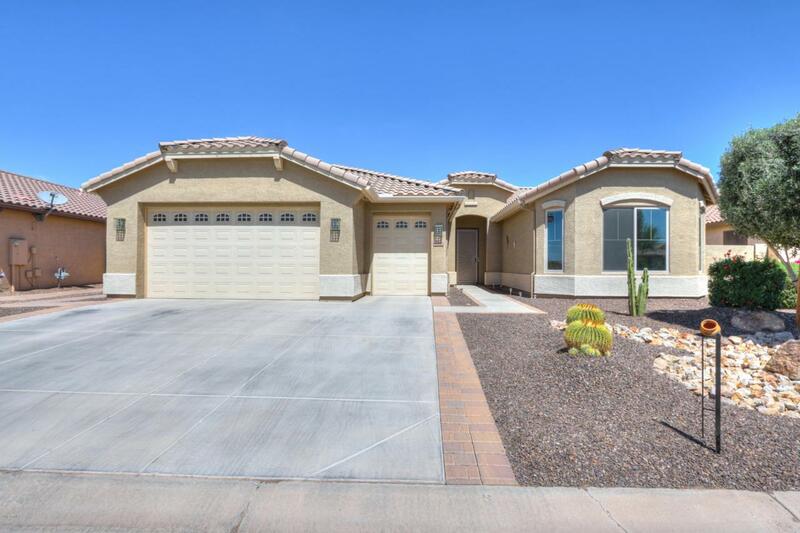 Kitchen features stainless steel appliances, under cabinet lighting, roll out shelves, tile backsplash, pantry & HUGE island, Guest bedroom has private full bath & walk in closet. Spacious master has bay window. 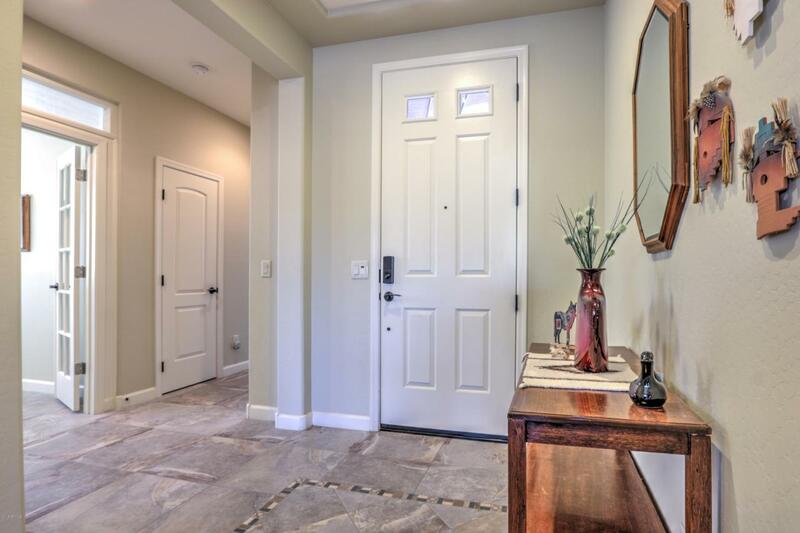 Laundry has cabinets & linen closet, the washer & dryer stay, The garage has a golf cart garage plus a 4 ft ext, built in cabinets & utility sink. 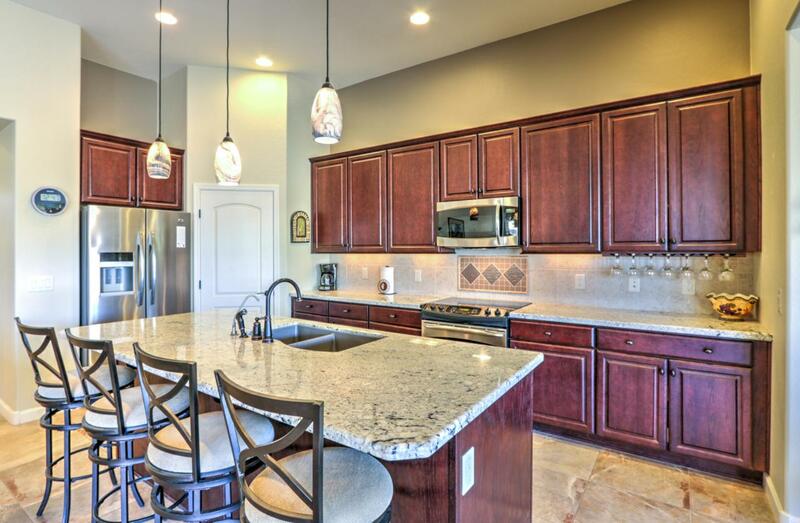 Enjoy the beautiful professionally landscaped backyard with built in BBQ & firepit. New PVC landscaping. This backyard is an entertainers paradise.